This statistic shows the results of a survey conducted in the United States in March 2017, by ethnicity. U.S. adults were asked if they could imagine themselves using an app to relieve stress/promote inner peace through meditation, light yoga or other activities. 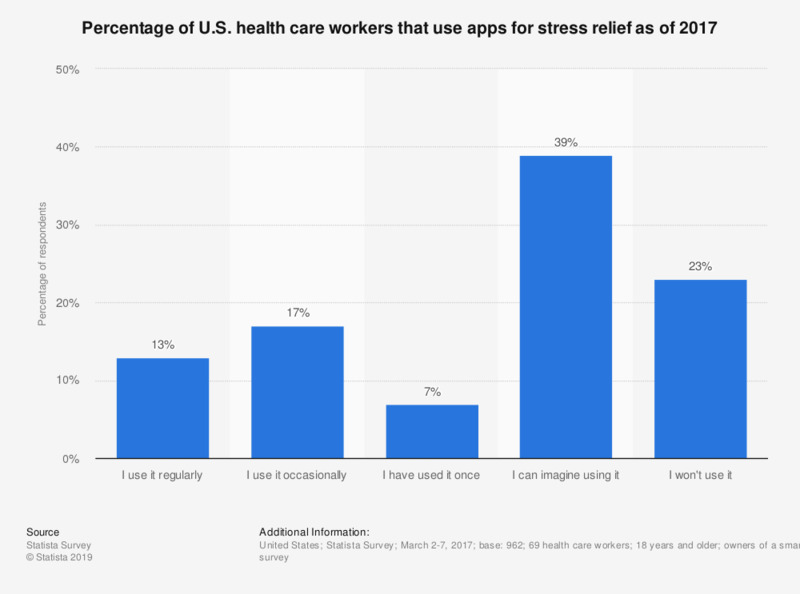 In total, 13 percent of respondents that were health care workers said that they regularly use an app to relieve stress.